Team Dennis Jiang wins the annual NoShave November tournament at Chelmsford! As the Annual No Shave November tournament, I (Brian Acheson, the TD) donate money for every non-shaven individual in the gym. This year their were 28 individuals with facial hair. I will donate $84 to the American Cancer Society. Let's beat cancer! 10 teams entered, but only one team could take home the prize. 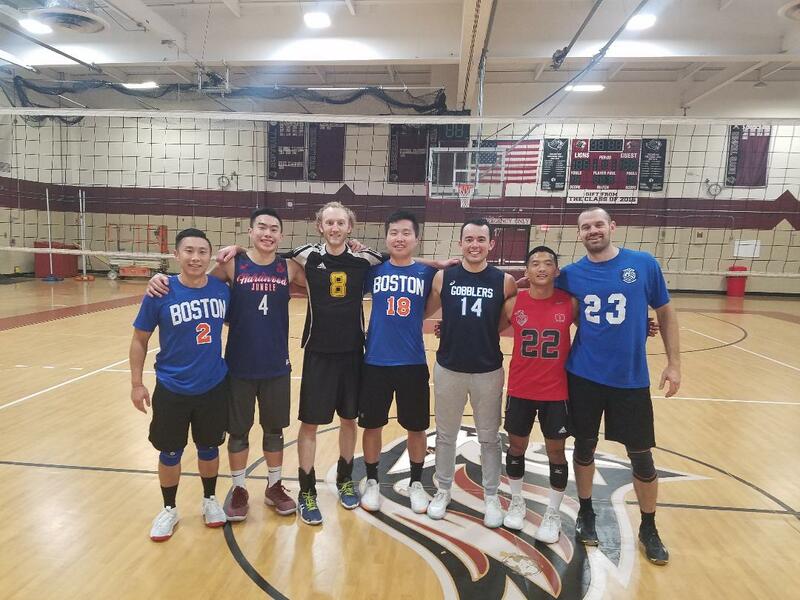 After a great day of some great volleyball, team Dennis Jiang wins the Men's B- tournament at Chelmsford High School. With some good competition within the pools, fatigue could be seen setting in during the semi-finals and the finals. The champions team Dennis Jiang defeated Pass and Hitties 25-14 and 25 17. To get to the finals, team Dennis Jiang defeated Argonaut in 2 straight sets, 25-20, 25-17. Pass and Hitties defeated Peluche in the semifinals, 25-18, 25-21. Thanks to all the teams that played! Congrats on a great tournament.